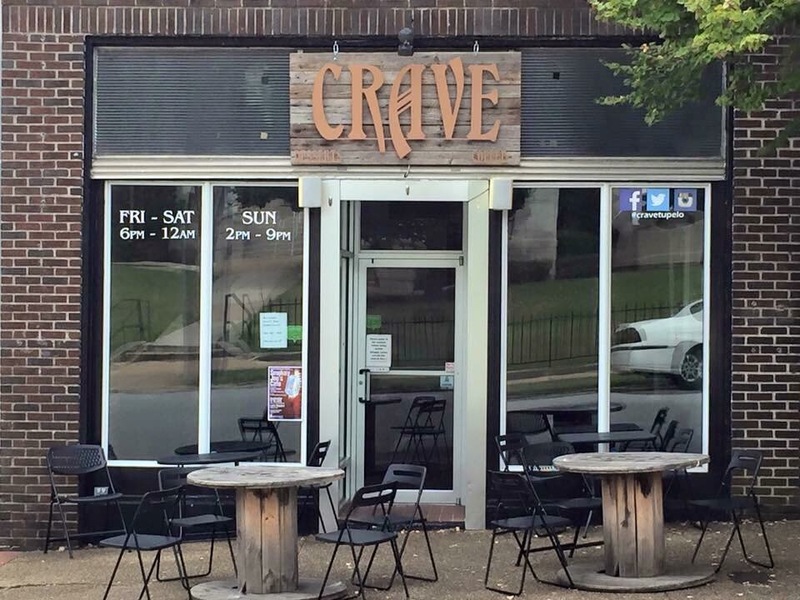 CRAVE is an after dinner desert café (now breakfast too) located @ 209 Court St. In Tupelo ( open Mon-Fri 7:am-5:pm, thurs-Sat 6pm-12am & Sun 4pm-9pm). Got my 1st Friday off in a while, so I chose to start my day with CRAVE and their new breakfast menu. 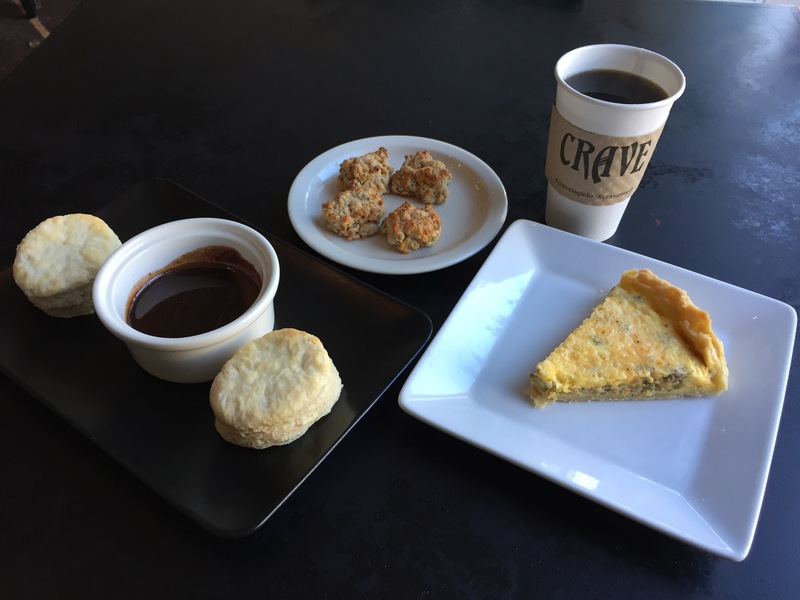 When I was asked what I would like, I couldn’t decide between their quiche, chocolate gravy n’ biscuits or sausage balls. I know, no surprise, got em all! To start, I chose their Roxanne coffee which is black coffee flavored with butterscotch and caramel. The flavors were mild and went down smooth. 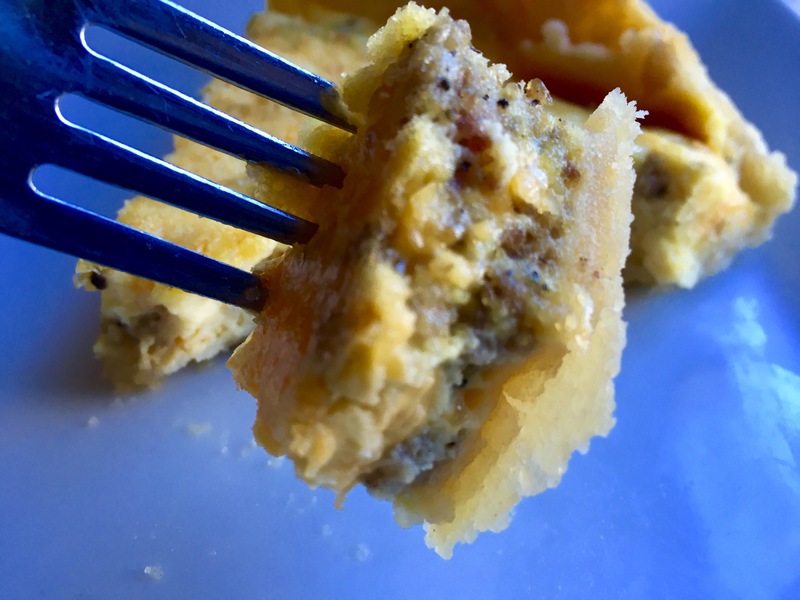 The quiche is a good portion size and the flavors are Chef’s choice and change daily. Today it was cheddar and sausage. But hey, it’s quiche…egg, buttery crust, cheese plus what ever else you wanna throw in. I love all flavors! 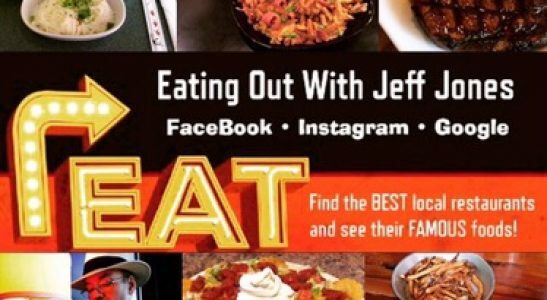 If your wanting a light breakfast I suggest their sausage balls and black coffee with a hint of extra flavor if desired. 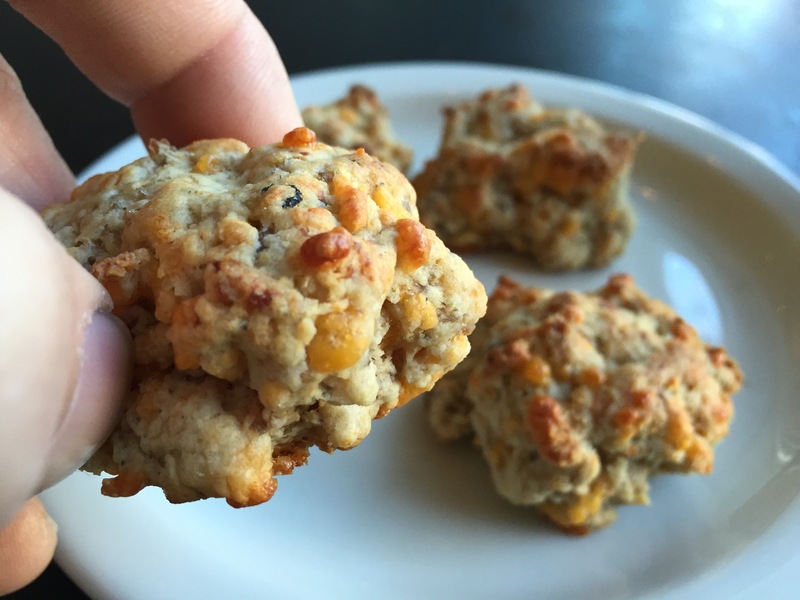 You don’t want to overpower the subtle flavors of the cheddar and sausage. I know I usually go for over-the-top experiences, but sometimes less makes your taste buds reach out for more, and is a nice change of pace. 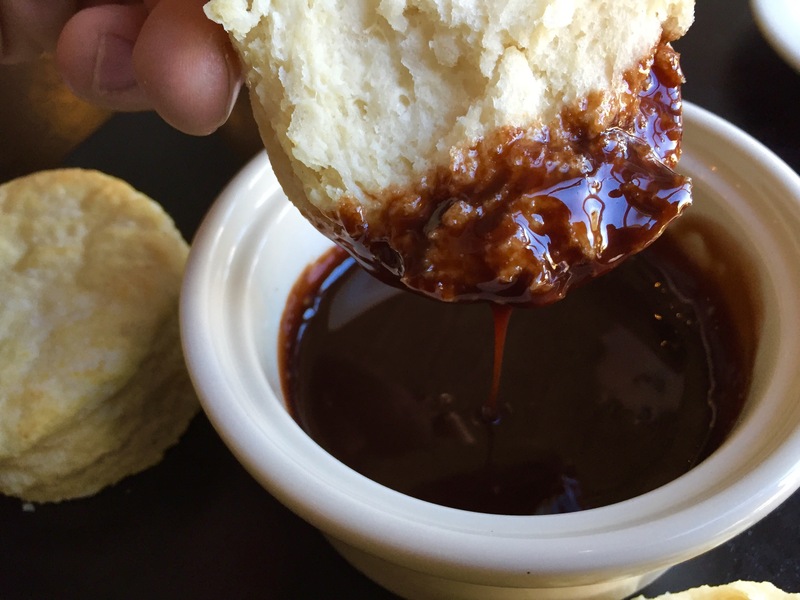 Now for chocolate gravy n’ biscuits. 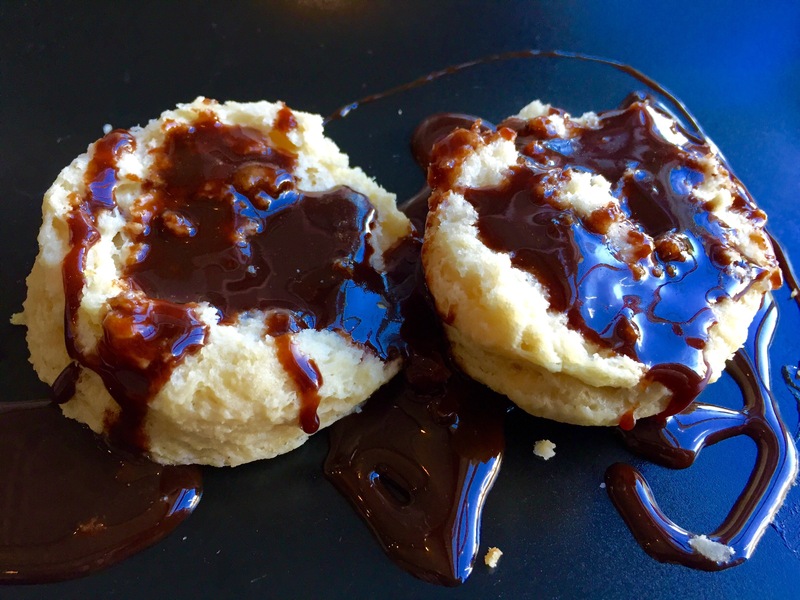 Huge hardy biscuits with thick super sweet chocolate gravy. In my book, if the gravy isn’t bold then why bother!